Drunk? Daniel Radcliffe Should Be Stoned! Last week, Heat magazine published an interview with Harry Potter star Daniel Radcliffe. 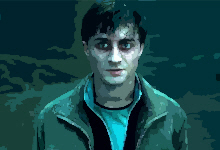 In the article, Radcliffe confessed to being an alcoholic during his time filming some of the Harry Potter series, going as far as saying that on occasion he turned up to the set still drunk. A sad story, and if it’s true it raises questions about the ethics of propelling such a young man into superstardom. The timing of the revelation, however, leaves a bad taste in the mouth.